Clean nutrition and healthy living have come to the forefront recently, and many people have begun rethinking their traditional American diets and replacing former favorites with healthier, more whole and natural options for their meals and food choices. So if you are one of these people, how do you choose a protein powder to go along with better food choices? Many women want to not only improve their eating habits, but consume appropriate nutrients to allow their bodies to work at their peak. 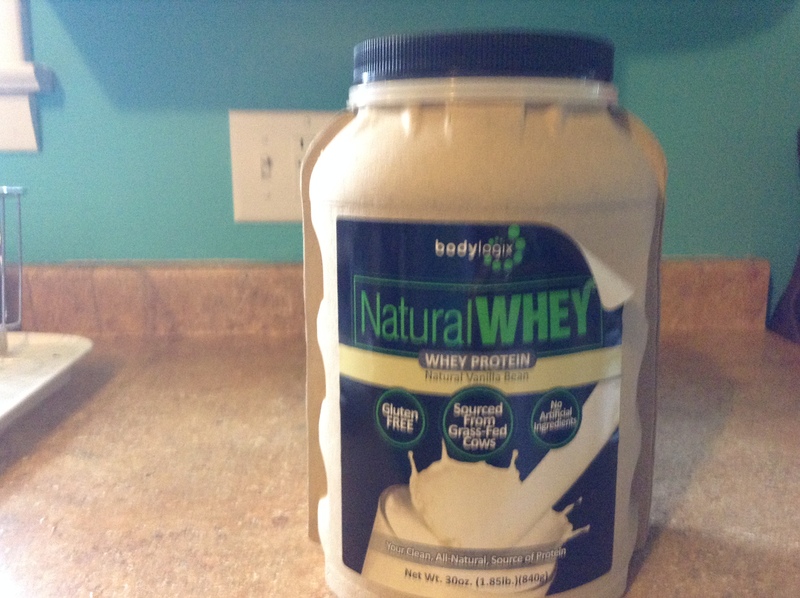 One great protein powder for women that is natural as well as effective is Natural Whey, a product made by Bodylogix. Natural Whey is a great option for women wanting a solid protein supplement, in a clean and natural format. Just because you are exploring a cleaner way of eating doesn’t mean you have to sacrifice taste. 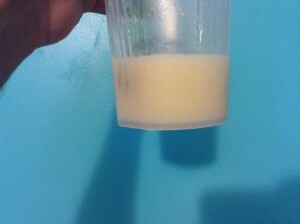 In its basic form mixed with water, our taste testers experienced a milk-like product, with a smooth vanilla flavor and no graininess; one tester described it as having an “almond milk taste.” It could easily be consumed mixed only with water, but also would be a great addition to your morning green smoothie or oatmeal. It doesn’t have a strong smell, and lacks any chalky taste. 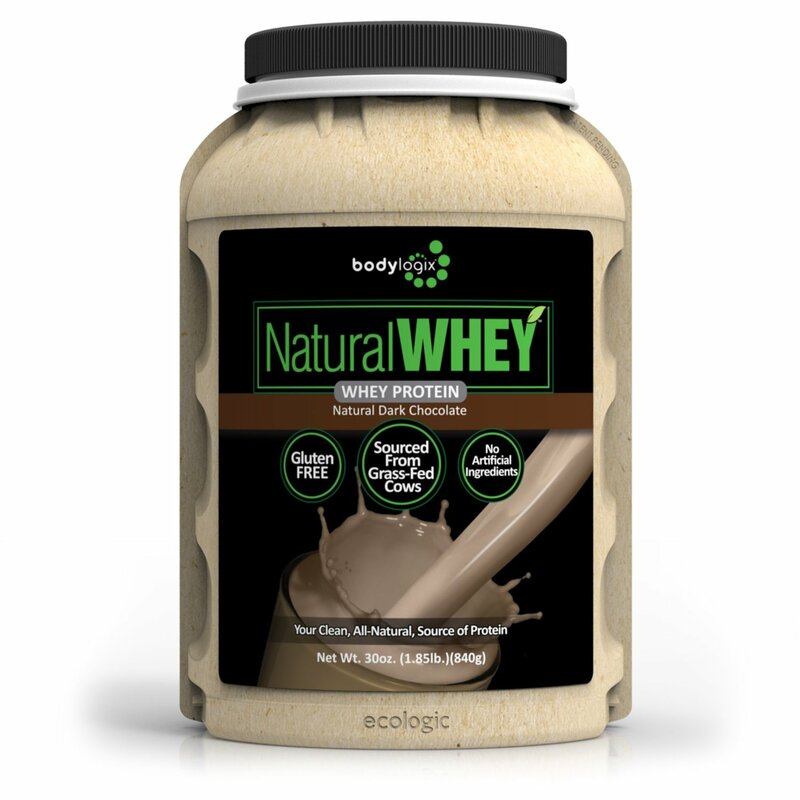 Natural Whey allows you to enjoy a tasty protein shake while also benefiting from great ingredients and natural features. 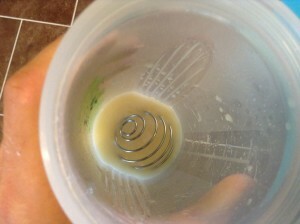 Speaking of great ingredients, let’s talk about what you’ll find in a canister of Natural Whey. You’ll get 24 grams of protein in a one scoop serving; Natural Whey uses a whey protein blend of whey protein isolate, whey protein concentrate, and whey protein peptides in their product. The mixture yields 80% protein per scoop, so you’re getting a lot of good stuff for just one little scoop of powder. For those women looking to use Natural Whey as a weight loss supplement, you’re in luck, as each scoop only contains 120 calories. You pack a lot of protein punch into just a few calories with this powder. Natural Whey also contains a small amount of calcium per serving, an added benefit for a woman’s body and needs, but does not include other added vitamins and minerals as some other protein powders for women do. Natural Whey prides themselves on sourcing their whey protein from grass fed cows, allowing for happier cows and thus a more quality product and ingredients. With Natural Whey, you get a lot of benefit in one canister, however, its also important to look at what you don’t get with this protein powder. Natural Whey is 100% natural whey protein, which means it doesn’t have artificial flavors, colors or sweeteners; they sweeten the product with natural stevia leaf extract. The product also features no GMO’s (genetically modified organisms) and is gluten free. The cows involved in making this product are grass-fed and free of growth hormones and anitbiotics, which translates to a cleaner, safer, more natural protein powder for your to enjoy with your workouts or as a snack. It’s refreshing to read the ingredient list and see so few ingredients with words you can actually pronounce. Natural Whey is a good buy at $0.78 per ounce, and knowing you’ll receive a natural product to put into your body also buys peace of mind that other products might not offer. Filling up with this clean powder before or after a workout offer you energy, strength, and recovery without sacrificing a cleaner lifestyle. 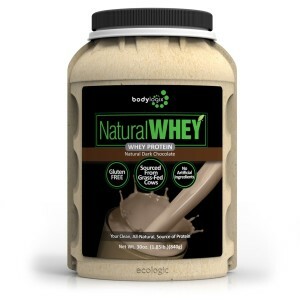 Natural Whey is your best bet if you’re looking for a tasty protein powder that also takes into account your natural lifestyle and clean diet. It makes a great addition to your kitchen, and goes great into drinks and smoothies without a bad taste. You’ll get a great protein powder for building muscle, losing weight, or supplementing your diet without having to worry about excess and artificial extras.